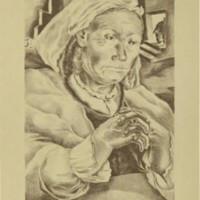 Black and white woodcut. 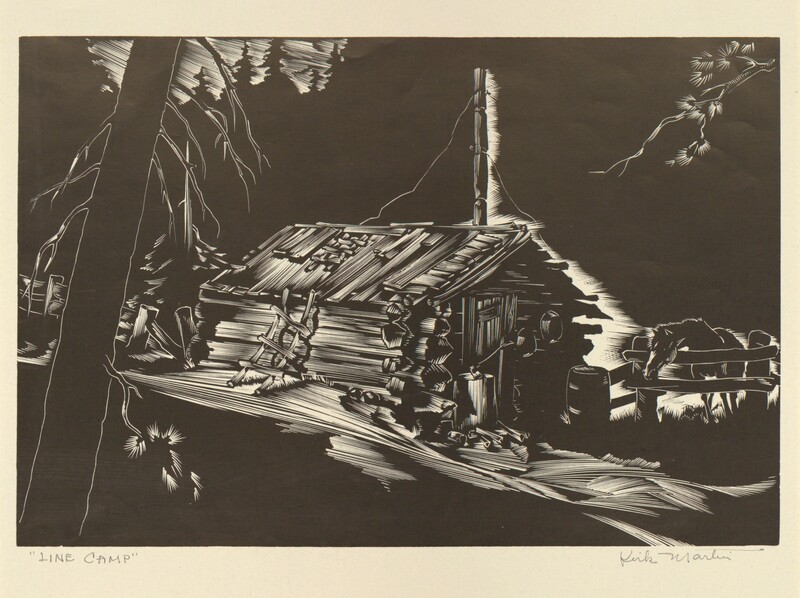 "Line Camp" Shows a log cabin of sorts with what looks like a primitive antenna and a horse off to the right. 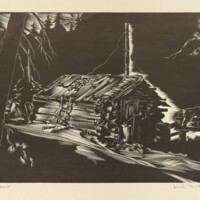 Martin, Kirk, “Line Camp,” Digital Exhibits, accessed April 19, 2019, https://cuexhibits.wrlc.org/items/show/175.